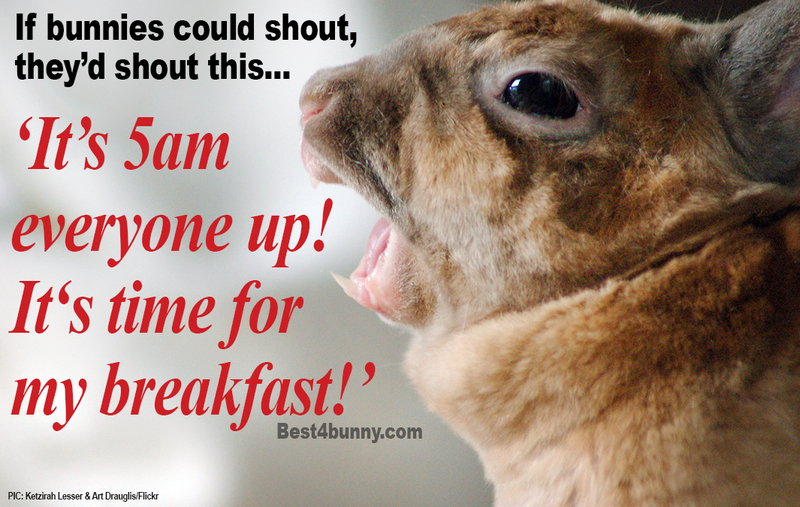 Although rabbits are small and fairly quiet, they all have a way of letting you know that they are in charge, not you! Hence the name Bunny slave! We asked many bunny parents to complete this sentence ‘You know you are a bunny slave when…’ and here are their answers. Can you relate to any? You get up at 5am every morning to feed the bunnies their breakfast. You wake up at 5.20am on Sunday and your bunnies are already angry that you’re late. You are not allowed to go in the kitchen for a snack without getting something for your bunnies too. You feed your bunnies before yourself, no matter how hungry you are. Your bunny bangs their bowl when it’s time for food and you come running! You go out just to buy local carrots, not because you need them, but because the bunnies want the carrot tops. You realise that you are looking for the best quality carrot tops for the bunnies and not the quality of the carrots for yourself. You are looking for a house to rent or buy and the first thing you look for is a big garden or a lot of space for your bunnies, ideally a room they can have to themselves! The weather is boiling and you put the fan on for the bunnies and not so much for you. You can’t drive past a pet shop without wondering if you need to get something for the bunnies. You go in to the pet shop for one thing and come out with a bag full of bunny stuff. You cancel holidays cause you don’t trust your bunnies will enjoy staying with your friends or family. You grow dandelions in your garden and get angry if someone calls them a weed! You grow herbs in your garden instead of flowers so your bunnies can graze on the good stuff and you put up with artificial flowers in your vase. You religiously come home at lunch times to check your bunnies are OK.
You and your partner figure out your work calendar around who can work at home each day to keep the bunnies company! You get up in the middle of the night during a thunderstorm to make sure your bunnies are okay and then stay up just to make sure. 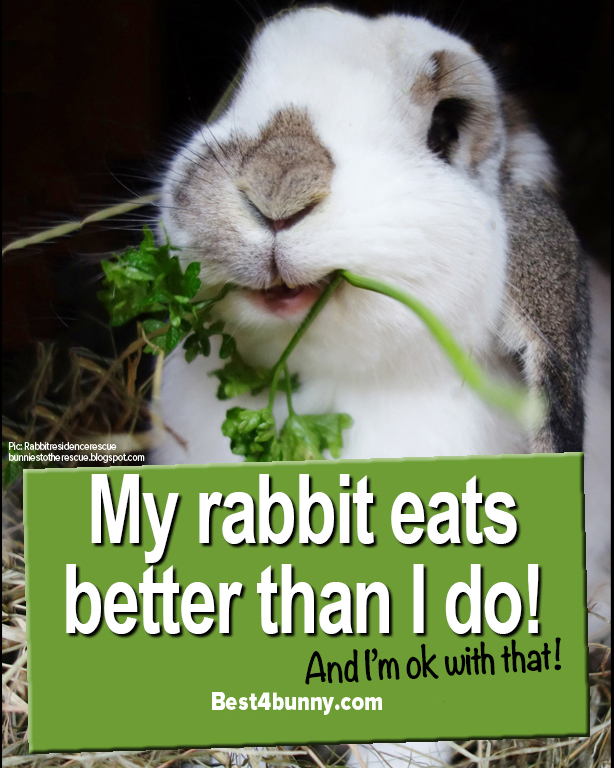 Your bunnies eat better than you do. You go through the checkout line at the grocery store and everything you bought is for your bunny. You get funny looks and comments on the amount of parsley and greens you have on the conveyor belt in the supermarket. You go to work with hay in your hair and on your clothes. You find hay in your underwear and on your hairbrush too! You accidentally spook your bunny and you apologise over and over and over and over again and again! You apologise over and over and over and over again and again when you get back home from a visit to the vets. You creep around quietly when your bunny is taking a nap. You ask your partner if they remembered to buy the hay, before you even say hello. Your bunny gives you ‘the bunny glare’ & you spend the rest of the day wondering what you have done wrong. You are ready to rub your bunny’s nose, head or ears on demand! Your life revolves around your furry companions & you wouldn’t change it for the world! 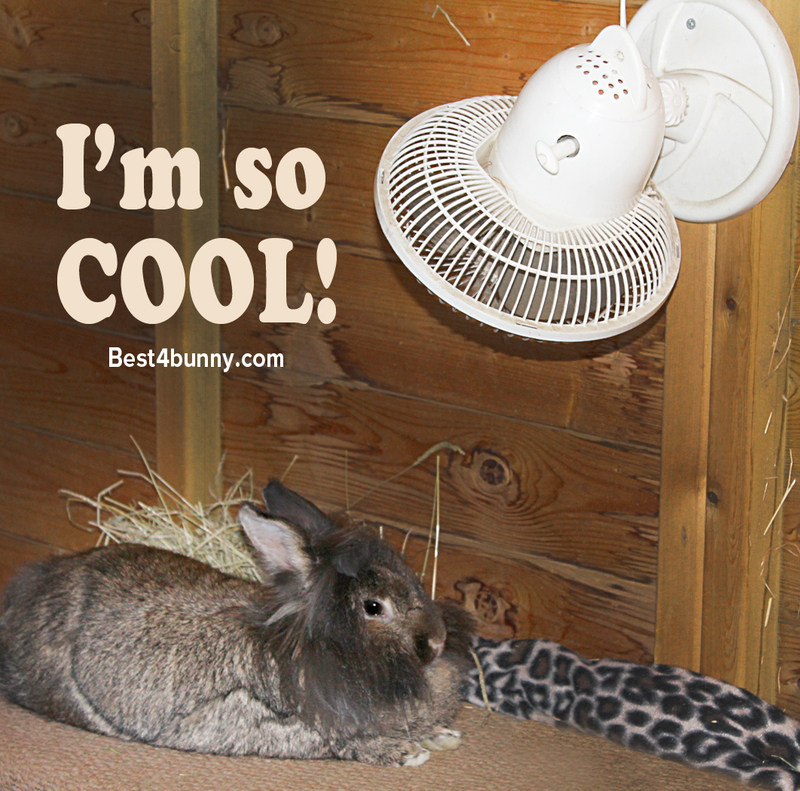 If you loved this blog you will love A rabbit’s guide to humans and how to control them!